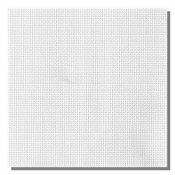 Stitch count 81w x 70h, approximately 5 3/4" x 5" on 14ct. 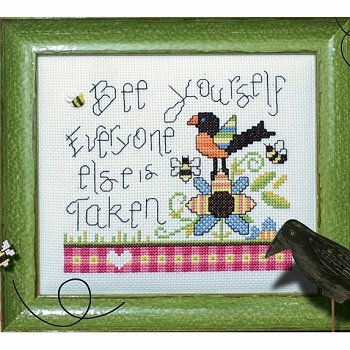 Model stitched on 14ct White Aida. DMC Color Variations 4124 Bonfire is used in addition to DMC colors white, 310, 704, 727, 799, 800, 938, 3804, 3806 and 3819. 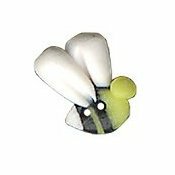 The design is embellished (optional) with one handmade right-facing flying bee button. **This design is available in printed form in Spring 2014 issue of the Stoney Creek Magazine.